I am overwhelmed at the moment. A while ago, I applied for the National Disability Insurance Scheme. I have no expectation whatsoever of being approved, but the agency that supplies the little bit of home help I get under a state government scheme has told me I have to apply because the current scheme is ending. So I dutifully took the form to my GP, she filled it out, and I dutifully posted it. Now, I've received the same form from the NDIS, with a letter requesting I have my GP fill it out (again). Of course, I range the NDIS, and asked if they didn't get the form I already sent. They got it. But they want more details - (and apparently the exact same questions should get different, or more detailed, answers) - and they want to know how many days each month I will have a bad day. Can I tell you how many days in a typical month I will be sick? No. 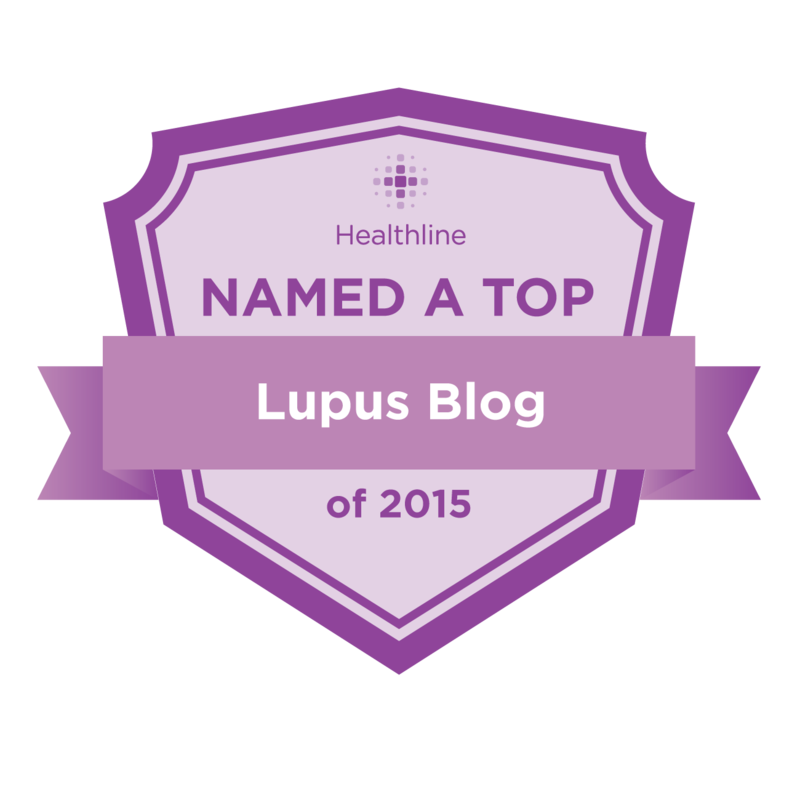 Because I have lupus. (Yes, I'm yelling, and belting my head on the wall simultaneously.) There is no such thing as a typical month. I don't know if and when I'm going to have a bad week, a bad day, a bad month, or a bad year. 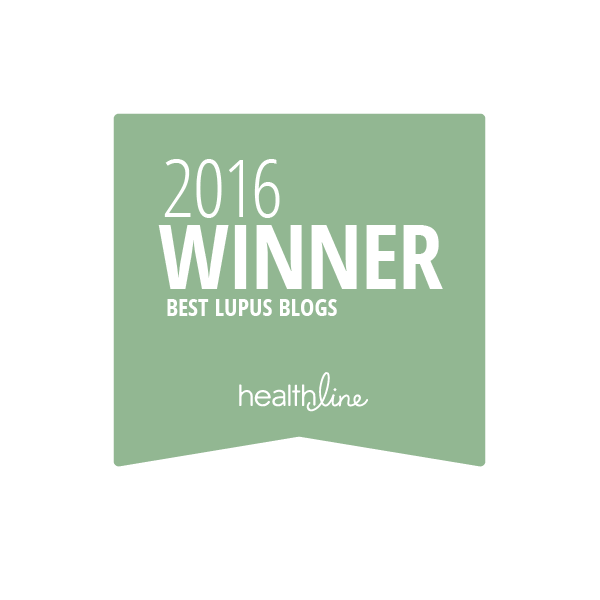 Lupus is completely unpredictable! How can someone dealing with disability services in any way not know that? 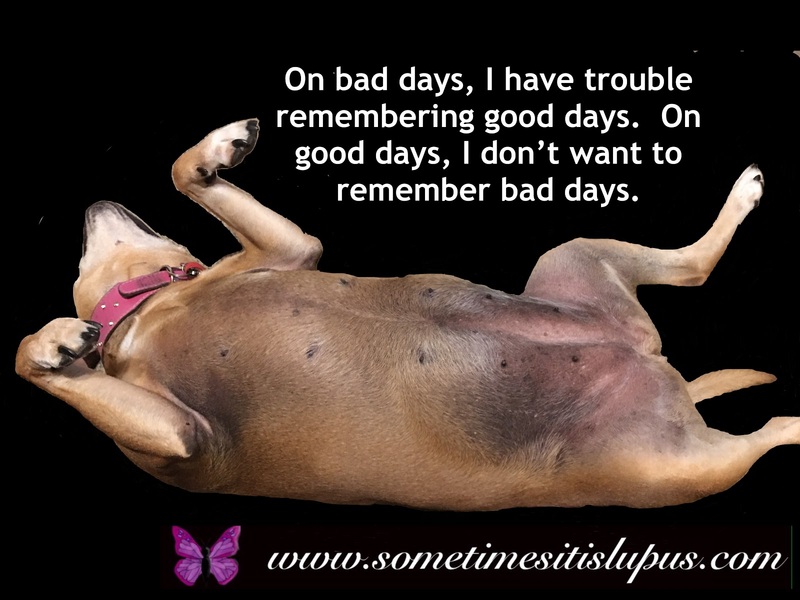 If I don't get help, and have to do the things that I currently have someone else do for me, I will have more bad days - I can predict that, because right now someone does all the heavy work around the house, stuff that will overwork my joints and leave me in serious pain. If I do get the help, I'll have fewer bad days, because I won't be overstressing my joints. So I'll probably be more qualified to get help if I don't have help. As I've said before, I'm feeling really well right now. There's no fatigue, no pain (apart from a sinus infection and a pain in my chest from a persistent cough.) Really, I am feeling the best I have in years. Even my gut is behaving like a normal person's. Feeling so well has given me the energy to address some issues that have been bothering me for years. So (drumroll) I have lost five percent of my bodyweight so far this year. I know feeling good won't last for ever, but my hope is that the changes I make now will continue to work when the days come that I'm too sore and fatigued to do anything or care about anything. As I mentioned in an earlier post, I'm taking advantage of feeling well at the moment, losing weight with Weight Watchers, and sewing new clothes in smaller sizes so I have something to wear as I get thinner. Always on the lookout for a cheaper way to do anything, I've picked up a couple of discount codes, which I'm going to share with you. Note: this is not a paid or sponsored post, however if you use these discount links, I will also receive a discount on my purchases. Last week, I had a phone call from the agency which employs the cleaner. The program was ending soon, and I needed to apply for the National Disability Insurance Scheme if I want the support to continue. The NDIS is actually for people with far more severe disabilities, and not really tailored for people who need the kind of low-level support that I do. I don't anticipate being approved for NDIS support at all. 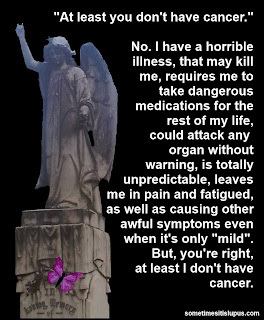 Despite that, I dutifully took the forms to my doctor. 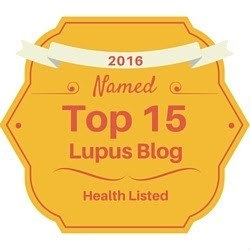 Because the forms are not designed for episodic conditions like lupus that are really debilitating some of the time, but merely annoying at other times, the doctor filled out the form in terms of how things are on my worst days. If you read my previous post, you would realise that at the moment, I'm really well. I'm pretty much as well as I ever get. The last thing I want to think about at the moment is what my worst day is like. On my worst day do I need help to shower? On my worst day, I don't shower. On my worst day can I drive? On my worst day, my son drives for me, neither of us think it's a good idea for me to drive when I'm distracted by pain and fatigue, and my cognitive function is awful. On my worst day can I do my own shopping? I mostly shop on line. On my worst day am I able to get around without help? Even on a good day I use the mobility scooter if I have to go any distance. On a really bad day I tend not to get out of bed. On my worst day, can I write? It depends which joints are hurting - when it's my hands, holding a pen is painful. You get the idea. 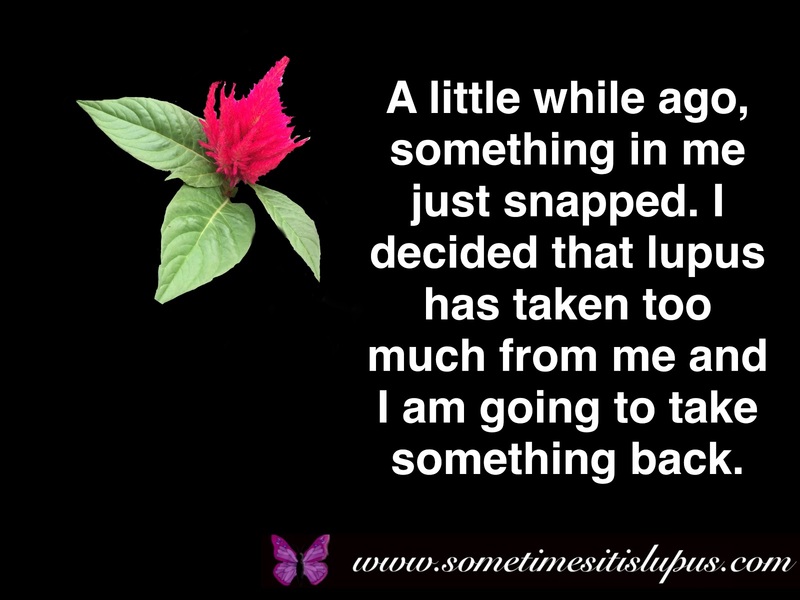 Here I am, feeling great, having to go back over the the absolute worst lupus does to me. What I end up with is a description of a decrepit woman who can't do anything for herself. That person isn't me - well, it's occasionally me, but it's far from the whole story. 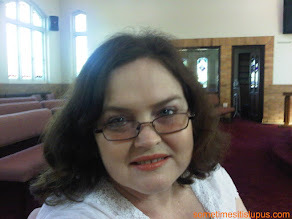 I know the NDIS is a great thing for people who have major impairments. I just wish we still had a system to help people who need lower levels of support as well. And I wish government forms and systems could take episodic conditions into account. A few things led up to it. Firstly, because my blood sugar had been bad in recent blood tests, I had been watching what I ate and particularly been eating low glycemic index carbohydrates. I didn't realise I was losing weight, until I had to choose something to wear to my daughter's PhD graduation. There was an outfit in my wardrobe that I made some time ago, but accidentally made a size too small. I tried it on, and it fit. This was a particularly (to my mind anyway) stylish outfit with a matching coat and bag. I loved being that bit thinner, and I loved wearing something I thought looked so good. Secondly, I finally started to feel better after all the stress and fatigue involved in the travelling to my brother's funeral. Thirdly, I joined University of the Third Age, so I could be part of their writers' group. 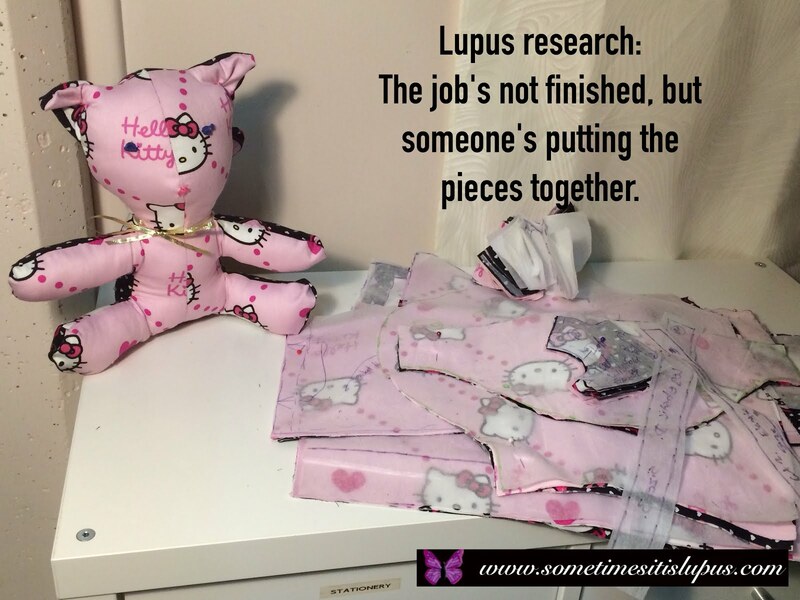 (I had to quit the group I'd been in since I first moved to Ipswich because another member of the group kept harassing me, refusing to take "no" for an answer, because he thought he could heal lupus. He wasn't a doctor, but claimed to be some kind of herbalist.) The U3A writing group is great, and I am thriving in it. Fourthly, late last year, I discovered the Ipswich Art Society and joined. So I began going to the Art Society to paint with other people who also loved art. Fifthly, I've always wanted an embroidery machine. At last one has become available within my price range. I have the new Elna Air Artist machine, that is cheaper than the older-style machine, because it's controlled from an iPad app. I got to the start of January, and was planning to make my usual resolution to not make any New Year's resolutions. 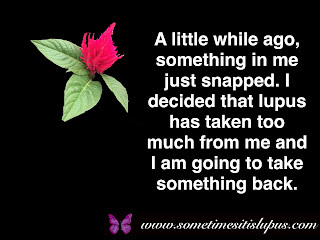 Then something just snapped inside me. I guess all of those background things came together and I realised something. 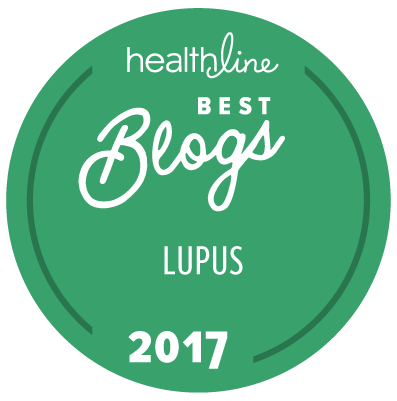 Lupus has taken a huge chunk of my life, but I had already started, without thinking about it too much, to take back some things for me. I decided to intentionally take back some more. So, I've signed up to do yoga with U3A as well as writing. I've been to yoga a couple of times, and must confess that I've had to take a fair bit of extra pain relief afterwards. But, the second time took less pain relief than the first time. Not only that, but I've noticed I'm already walking better: my limp isn't as pronounced. I am feeling good about this. So I'm going to keep going to yoga, and I'm going to keep taking as much pain relief as it takes to do so. I spoke to my GP today and she's with me on that - she says that over time, I will probably find I need less and less pain relief. I also re-joined Weight Watchers. Thirty years ago, I was a Weight Watchers success story. A lot has happened since then. I found a special deal, where I could do the program online for half price for three months. 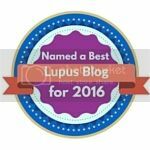 When I joined, I thought that would be long enough to find out if I could stick to the program, and if I would lose weight despite my lupus medication. 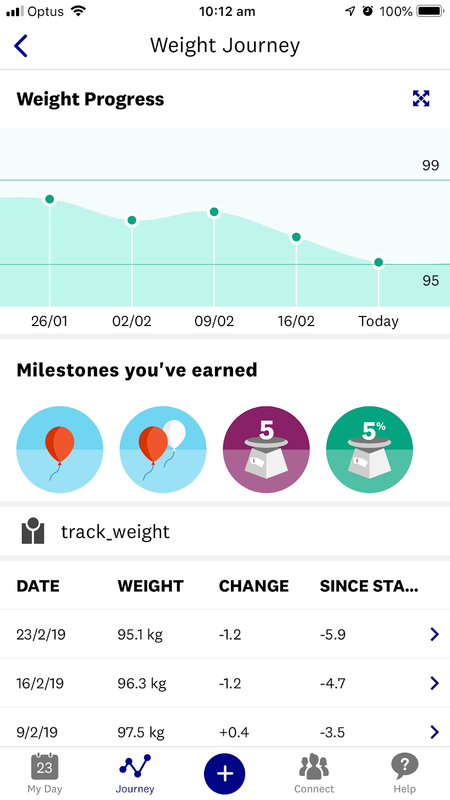 In my first four weeks, I've lost 3.9kg. 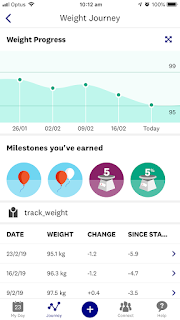 The program is much, much easier to stick to than it used to be, and the Weight Watchers app links in with Apple Health so my morning walk, and my yoga session are automatically counted on WW. can now use the $2 a metre poplin from Spotlight, to make clothes that don't look cheap, and I am just going to sew stylish new clothes in smaller and smaller sizes until I get to my goal weight. I'm making bags and even hats to co-ordinate with my new clothes. I have decided that from now on, I am going to feel good about the things I wear. Clothes from my wardrobe that I didn't like, that I'd bought because they were cheap and I didn't care how I looked because I felt awful anyway, have either been put in bags for charity if they were in very good condition, or cut up to make cleaning cloths. Cutting up clothes that are too big or look ugly is a very therapeutic way to dispose of them, and I won't new cleaning cloths for a very, very long time. Art Society is about to resume after the Christmas break, and I'm stocked up with both oils and watercolours, and am looking forward to Tuesday morning painting sessions. And because, I feel well, and because I really really miss my ministry work, I've told the local church that I'm available to preach as often as I'm needed for the forseeable future. I'm not in denial here. I know I'm not going back to full-time work. I know I'm never going back to taequando - my days of breaking boards are well and truly over. But I can make the most of what I am able to do, and I can choose to do, to wear, and to eat the things that make me feel good about being me. 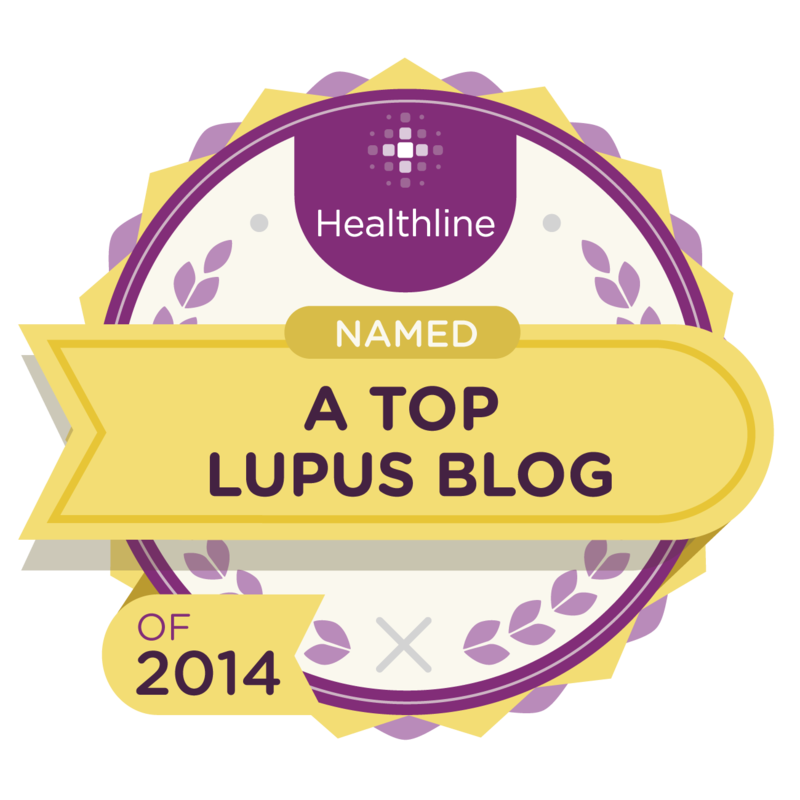 And lupus can kiss my fat (but diminishing) behind. I know a lot of people with chronic illnesses, like me, tend to have gut issues and find some foods just don't agree with us. My big issues are gluten and dairy. I also love food, and despite the December heat, I love sweet treats for Christmas. So here are a couple of recipes for treats I like. Flavour: tablespoon cocoa, or 2 teaspoons instant coffee, or dash of vanilla extract. 1. Place first four ingredients in a saucepan. 2. Stir over low heat until sugar is dissolved. 4. Remove from heat and allow to cool slightly. 5. Add flavour and beat until thick and creamy. 6. Pour into a battered tin. 7. When partly set, mark into squares. 8. Allow to harden, then remove from tin. 3. Allow to boil to 100 deg C.
4. Allow to cool and use as normal condensed milk. 1. Crush weetbix in a large mixing bowl. 3. Form into small balls, and roll in coconut. Refrigerate. 1. Soak fruit in coffee overnight. 4. Place in small cake tin and bake in moderate oven for 25 minutes. 1. Line a small cake tin with aluminium foil, and spray with non-stick cooking spray. 2. Place sugar, water and gelatin in a large saucepan, and bring to the boil. simmer on medium heat for 20 minutes, stirring constantly. 3. Stir in rose water and food colour. 4. Pour into lined tin and refrigerate overnight. 5. Remove Turkish Delight from pan, cut into squares and roll in icing sugar to coat. flavour options: vanilla extract, 2 teaspoons instant coffee or tablespoon cocoa, or other flavours of your choosing. 1. Mix ingredients and place in ice cream churn. 2. Churn until light and creamy. I have been inactive on this blog lately, because I've been distracted by some other projects. I've been busily writing and painting, and I have three new books out in the past two months. So those have been keeping me busy. You can find all of them at www.lulu.com/spotlight/IrisCarden. Soon, they'll also be available at most online bookshops. the kitten to learn to untie shoelaces. "I'm fine," I said, as my son cut and filed my toenails. "It's just that my bad hip doesn't like me to bend that far for any length of time," I explained. "I'm fine," I said as my son put my shoes on for my walk. "I'm fine," I said again as he took my shoes off after the walk. "It's just that my feet are a long way away at the moment." "I'm fine," I said as I cracked an egg and dropped it all over the stove, entirely missing the frypan. "So I've heard," my son replied. I've come to the conclusion that "I'm fine" means something entirely different for a person with a chronic illness than it does for a healthy person. 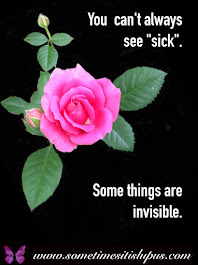 When I, use the term, and I suspect when other people with chronic illnesses use it, it actually means: "There's nothing happening at the moment that requires immediate medical intervention." It was a freezing cold morning, and I was lying in my nice warm bed, waiting for the coffee my son had offered to bring me. He was taking an unusually long time, and I thought back to our conversation. The whole conversation had been an hallucination, or possibly a dream. That's when the horrifying truth hit me. There was no coffee being made! expect a small electronic device to be. A while ago, I reviewed the Shade ultraviolet light sensor. I love this device. It helps me track how much ultraviolet light I'm exposed to each day, and lets me know when I should probably call it a day and go inside. Since my review. I've learned something more about the Shade. This thing is tough. Please note, I do not recommend, suggest, or in any way encourage, putting the Shade or any other electronic device through the wash. I'm just saying, stuff happens. With brain fog and a bit of sore joint clumsiness, more stuff might possibly happen in my house than in a healthy person's house. You might experience something similar, or maybe not. I'm not saying you're exactly the same as me. But if you are like me, you might be reassured to know that the device you're using is tough enough to handle it.